The Haramain high-speed train is set to begin commercial operations on 24 September. Trial runs of the train have been carried out successfully and all carriages are ready to start operation, Saudi Gazette reported. Railway stations in Makkah, Madinah, and Rabigh are fully furnished and ready to welcome passengers, while final touches are being put in Jeddah station. The new speed high rail service will travel at over 300 kilometres per hour. Tickets will be available on the Haramain High Speed Rail Project website. There will be eight services daily, to be increased to 12 by the beginning of 2019, on both sides. 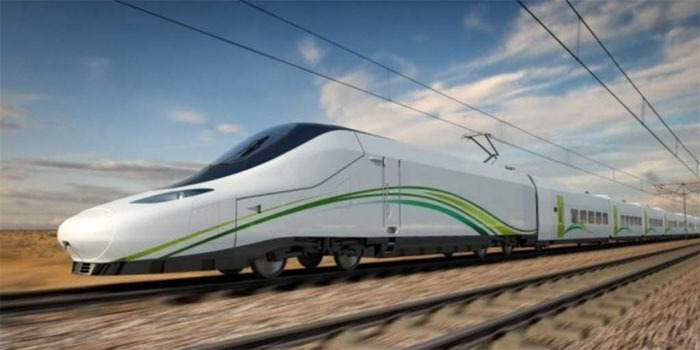 In June, the project’s general manager Mohamed Fedda said that Al Haramain high-speed rail project is expected to officially commence its trips this year. The project is considered the biggest in the Middle East and will ease traffic on the roads connecting Makkah to Al-Madinah. About 138 rail bridges and 850 tunnels were executed in the mega-project, Fedda added.